My Liesl & Co Extra Sharp pencil skirt. 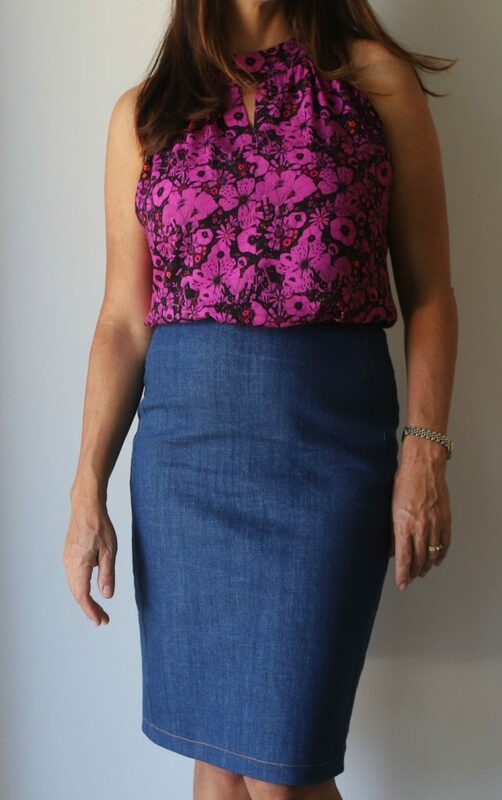 Worn with my Lisette for Butterick 6464 top in Cotton & Steel rayon from The Confident Stitch. Sewn in Size 4, a size smaller than recommended for my measurements, due to my love of overfitting. Sewn with 5/8 inch seam allowances instead of 1/2 inch. I’m pretty sure I should have left those seams at 1/2 an inch! Sewn in stretch denim found at the thrift shop. 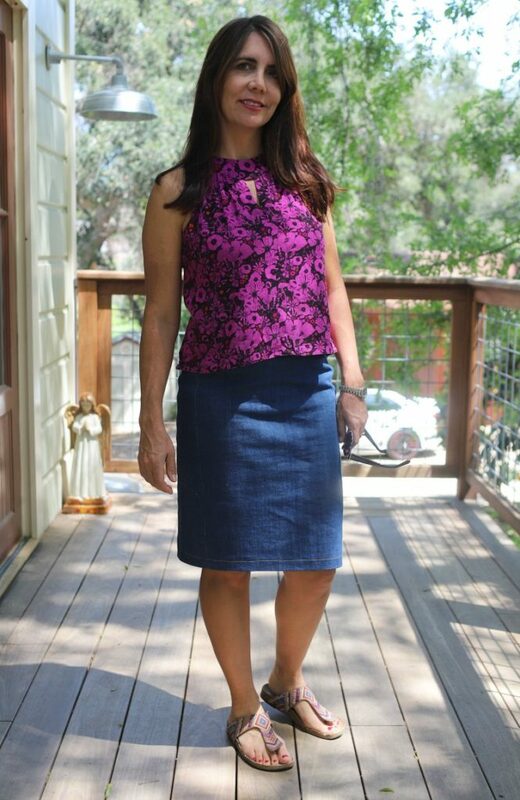 Here is the skirt untucked with flat shoes for a more casual look. This is how I actually wore the outfit today. I felt a little self conscious with the top tucked in, due to the tightness in the tummy. Another week or two of my new workout regime should help that. 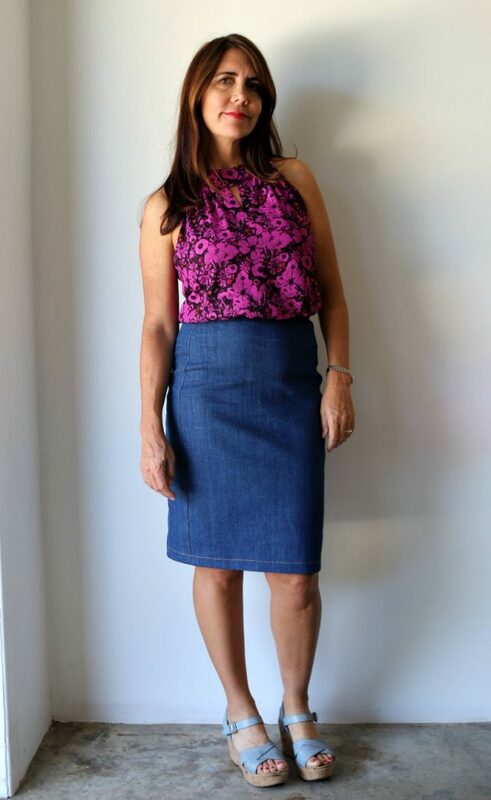 So why would I buy Liesl & Co’s new Extra Sharp Pencil Skirt pattern when I could draft my own pencil skirt and even already have my own skirt block? Because I love her sewing instructions. I always pick up new tricks from them and learn something new. 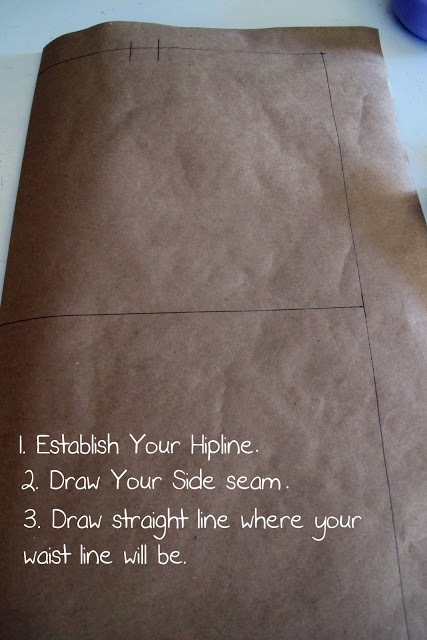 Like how to make a facing with an ( almost) invisible zipper and a clean finish inside. And how to make a perfect walking vent. I also just enjoy following along with the intructions because I know I won’t have to scratch my head over vague instructions and try to figure things out on my own, inevitably skipping some crucial step and then getting my seam ripper out. I can just zone out on my sewing. It’s kind of weird to have this as an excuse, but I also like the way the envelopes look and the way the instructions are printed. I know. I’m very happy with this skirt and it’s a much needed basic piece for my wardrobe. I would definitely recommend this pattern. Stay tuned for a floral version with faux leather side panels. I admire the confidence and brilliance you have to experiment with sizing, seam allowances, thrift shop stretch denim. I like the color of thread you used on the double line finishing stitching at the top and the single line stitching at the bottom of the skirt. That’s neat that you got to do this as a relaxing project, and yet still pick up a few new tricks. 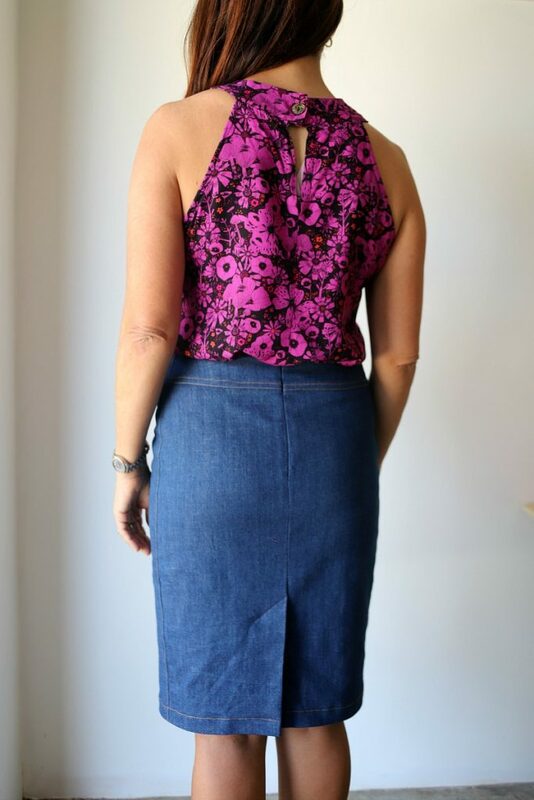 I’m imagining this skirt will go with so many different tops! Thanks so much for stopping by, Justine! I will indeed be able to wear this skirt with a ton of tops. Happy sewing! Justine, that is such a nice skirt. It is so well made and looks like it fits you really well. Such a great basic piece for your wardrobe. I bet you get a lot of use out of this one. Thank you, Carol! I have already worn it twice this week. It’s looking good for a being a new TNT. A 5 star skirt Justine! 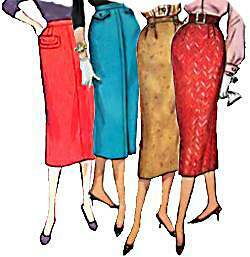 Fit, fabric, style, workmanship, you have a classic. Thanks for sharing! It fits you perfectly! Beautiful job.